SAN FRANCISCO (CN) – A Ninth Circuit panel on Friday ruled California’s handgun regulations do not infringe gun buyers’ Second Amendment rights. The three-judge panel’s opinion affirms summary judgment in favor of the state, in which the trial court found the Unsafe Handgun Act only regulates commercial sales and not possession of a handgun. California law requires new handguns sold in the state to include an indicator that lets a person know when a cartridge is in the firing chamber and a mechanism that prevents a semiautomatic pistol with a detachable magazine from being able to strike the primer of ammunition in the firing chamber. Both requirements are meant to limit accidental discharges. They came into force in 2007. A third provision involves microstamping technology to place identifying information on each fired shell casing in order to assist law enforcement and was put on the books in 2013. Older models of semiautomatic pistols already approved by the state Department of Justice are exempt, as are guns sold to law enforcement officials and other niche categories. 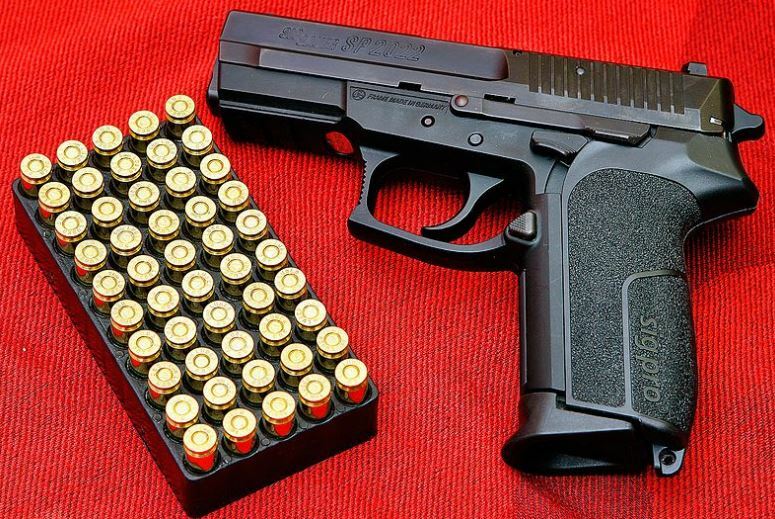 Several individuals and the nonprofit organizations Second Amendment Foundation and Calguns Foundation claimed in a lawsuit California’s requirements hampered their ability to buy handguns in violation of the Second Amendment. They also claimed the exemptions were irrational and a violation of the 14th Amendment’s Equal Protection Clause. A federal judge in the Eastern District of California sided with the state, citing the U.S. Supreme Court’s landmark decision District of Columbia v Heller which held the Second Amendment protects an individual right to keep a gun in the home for protection, but doesn’t prevent the state from regulating firearms. On Friday, the Ninth Circuit panel agreed. They found the chamber load indicator (CLI) and magazine detachment mechanism (MDM) requirements are not a total prohibition of the Second Amendment, but instead a regulation on the manner of use. “The CLI, MDM, and microstamping requirements place almost no burden on the physical exercise of Second Amendment rights,” U.S. Circuit Judge M. Margaret McKeown, a Bill Clinton appointee, wrote for the majority. Furthermore, she said the chamber load indicator and magazine detachment mechanism requirements fit with the state’s interest in public safety. The majority also found the state met its burden of showing the microstamping requirement is reasonable to assist law enforcement at crime scenes and is a valuable means of identification. The George W. Bush appointee noted in his nearly 50-page dissent that the restrictive protocol has yielded a secondary effect: Since at least 2013, there have been no new handguns sold commercially in California. Bybee’s concerns over the microstamping technology echo those of the National Shooting Sports Foundation, who called the requirement “impossible” in a lawsuit. The California Supreme Court recently sided with the state in the case, albeit narrowly, finding courts cannot carve out impossibility exceptions after laws have already been passed. The plaintiffs did not return an email seeking comment about Friday’s ruling. Also Friday, a different Ninth Circuit panel affirmed the dismissal of a challenge to the 2015 amendment of California’s Gun-Free School Zone Act, which bars possession of firearms on school grounds and within 1,000 feet of a school. While the original act exempted both retired law enforcement officers and individuals with a conceal-carry permit, the amendment removed the exception for conceal-carry permit holders. The panel rejected claims by Calguns and others that the amendment was enacted to favor a politically power group – retired peace officers – and disfavor the politically unpopular gun-toting citizens, finding the plaintiffs hadn’t offered plausible proof of such an intention by the Legislature.